Apart from the rich historical apotheosis, the national capital has been an attraction for its mouth watering diversity of cuisines. 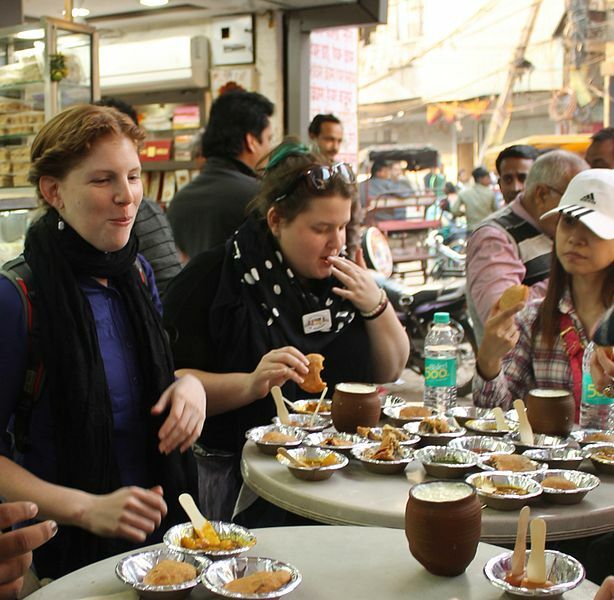 Of course, life is not easy in a city infamous for smog, pollution and crime; but, despite of everything, food remains Delhi’s passionate love affair since times immemorial. Mughals came and Delhi accepted food as a culture, not just a mere gusto. 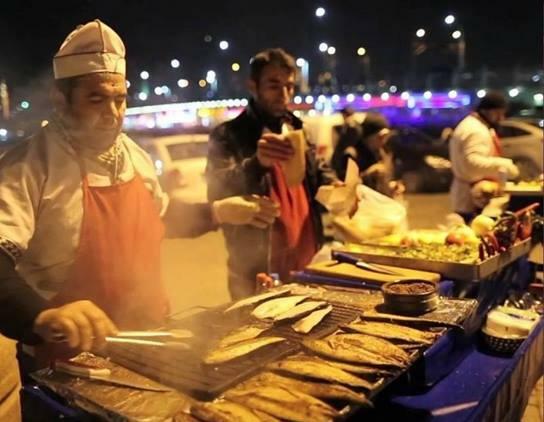 It became a unique blend of traditions as the era brought cuisines from Middle East, South Asia and Turkistan. From the royal kitchen, they became a popular dish among the commoners. These culinary secrets, like a loyal subject, were passed on to the future generations without distortion. 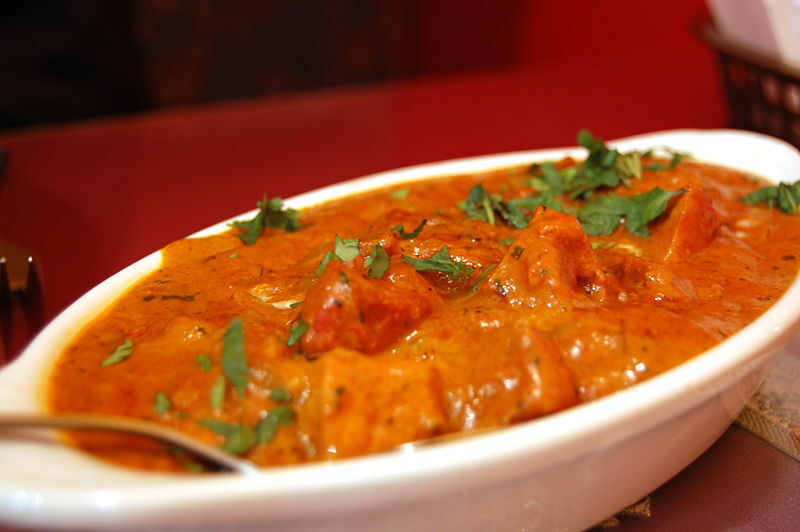 So much so, that Chicken Tikka Masala became the British National Dish. Whether kebabs, biryani, tandoori chicken or nihari, centuries have passed, but one can still relish them in the local restaurants or street food. As India struggled for independence, Indians from all parts of the country came to Delhi for some or the other reason. Nobody really bothered to know about the cuisines of the British, but they made the best effort to popularise the country’s food regime. Punjabi refugees, from West Pakistan, post partition, settled around Pandara road and created revolution in restaurant business. Chinese community from Calcutta introduced Hakka and other Cantonese dishes along with the American chop suey. As time passed and Delhi developed as a capital city, people from South India, in search of employment started pouring in. 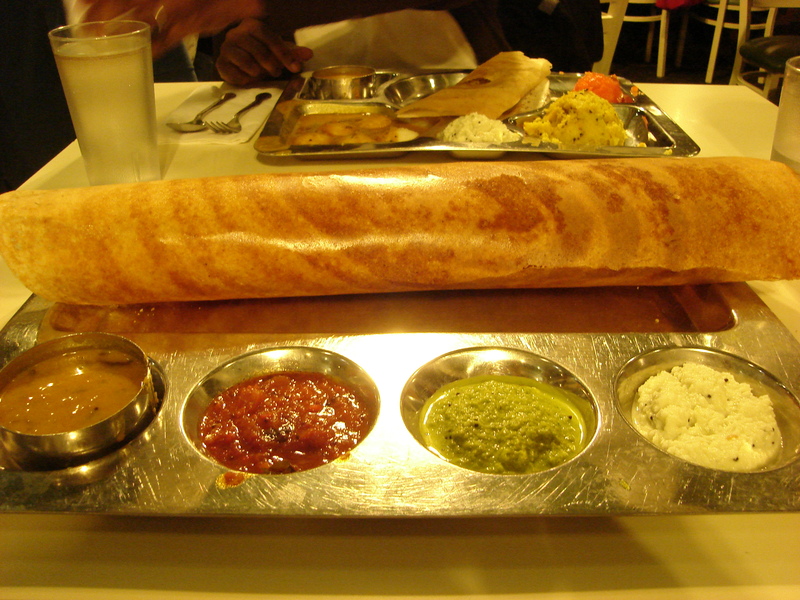 They introduced Idli and Dosa which reached its pinnacle in the Udupi restaurants. Mid-1970s brought a revolution in International cuisine and Delhi got a taste of Thai, Italian and French food in the restaurants. Today, every culinery across India, can be found in Delhi. Either a connoisseur or a commoner, it never fails to tickle the taste buds. 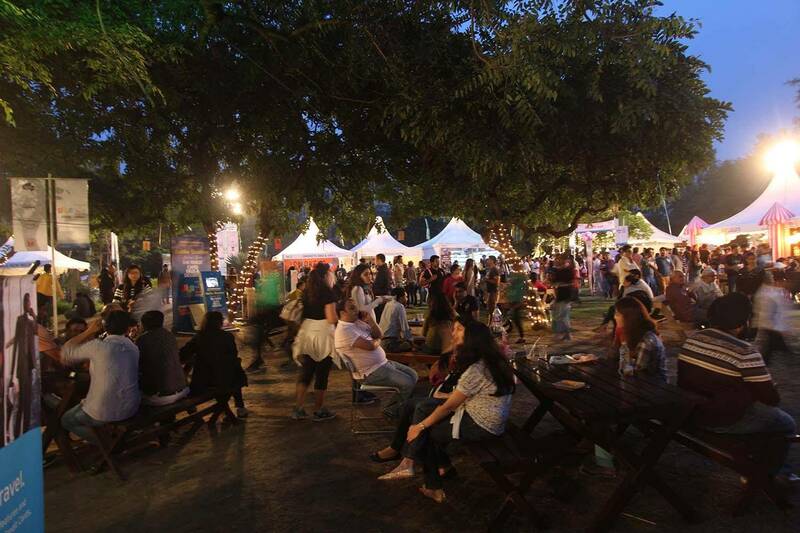 Delhiites wait for the cold winters as they bring the thrilling and luscious food festivals! Showered with an array of cuisines, Indian Street Food festivals bringforth the Indian street food without a hole in pocket. 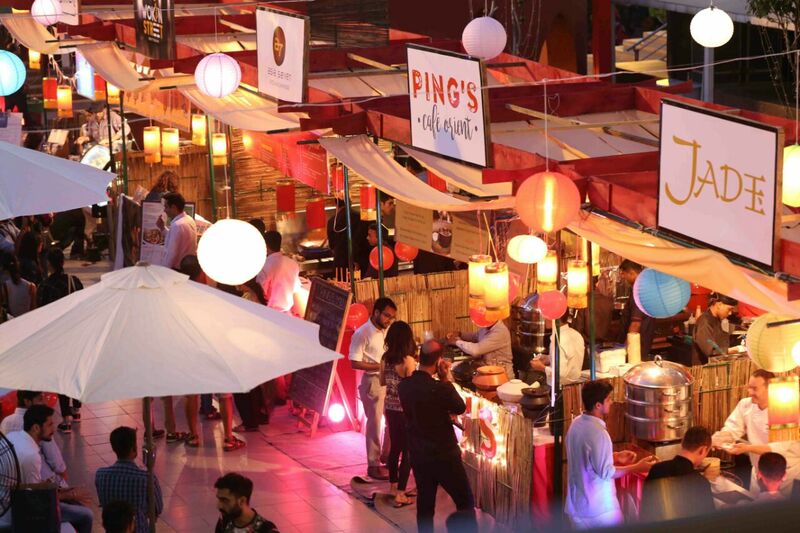 One of India’s biggest food festival, try out world cuisine under one roof. Dig in the desserts and cuisines prepared from the best-kept sectrets of top notch restaurants. 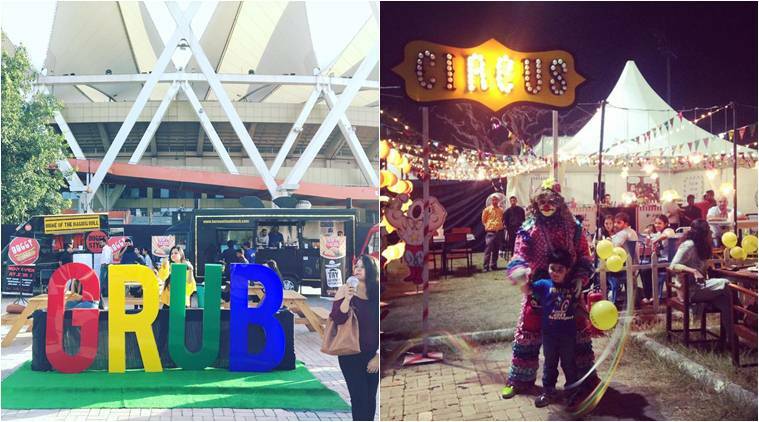 Good music and dance performances will keep you entertained. How to Reach: Jawahar Lal Nehru Metro Station (Violet Line) is the nearest. Venue: The Jawahar Lal Nehru Stadium. 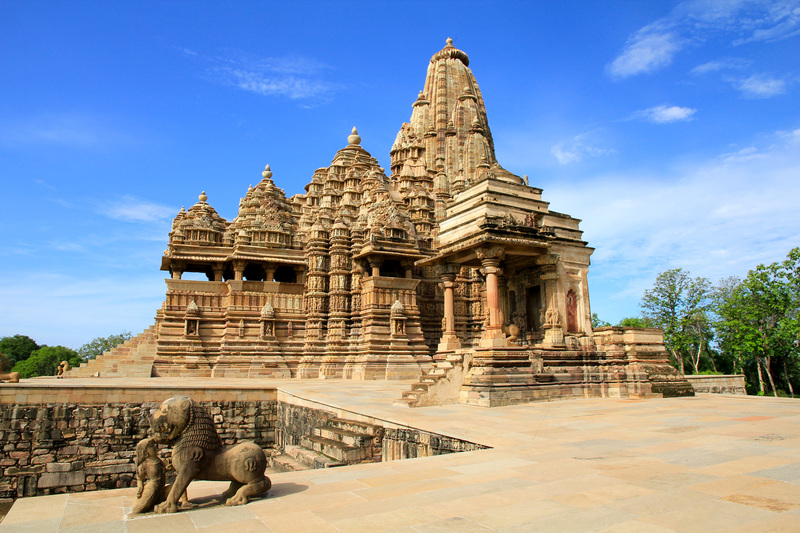 10 Heads Festival, as it is known, brings Chandni Chowk in Dhanchiri Camping Resort. 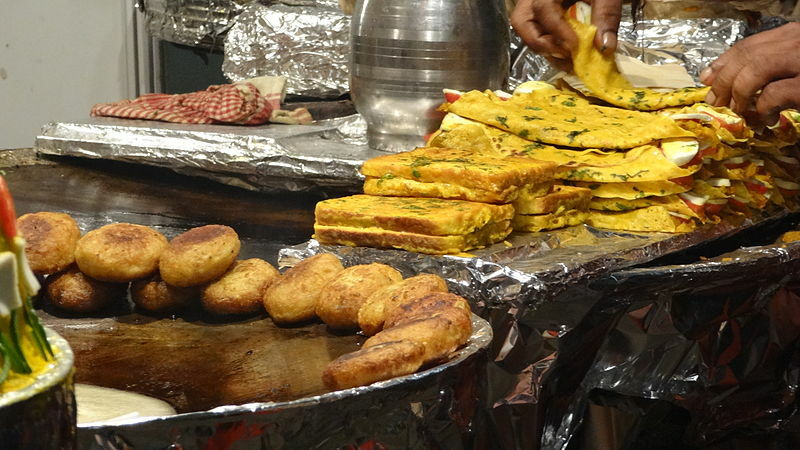 Famous street food vendors from Chandni Chowk, sell cuisines that attract food lovers from all over the world. Also find Ibiza’s Bar Barlovento, Berlin’s FluxBau and London’s Mavericks Pizzeria under one roof. There is a special area for cocktails, wines and beers. Choose from a wide range of Naga, Kashmiri, Iranian, Bengali, Arabic, and Indian Coastal food. How to Reach: 20- 27 mins cab drive from Huda City Centre Metro Station. 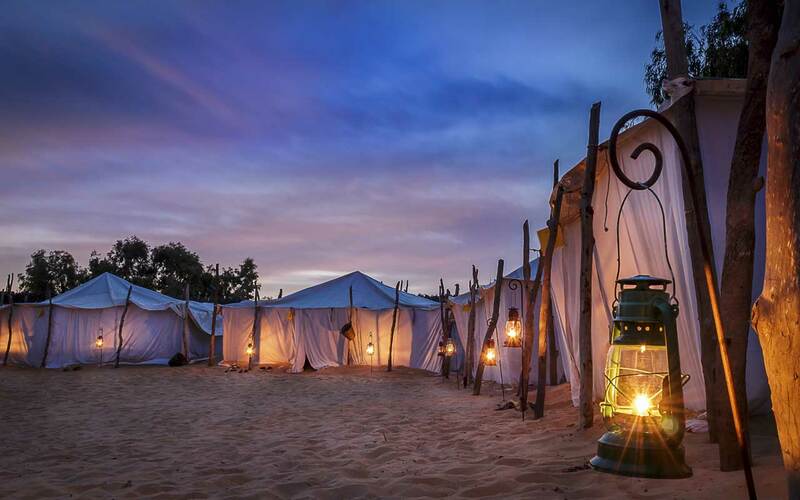 Venue: Dhanchiri Camping Resort on NH-8. 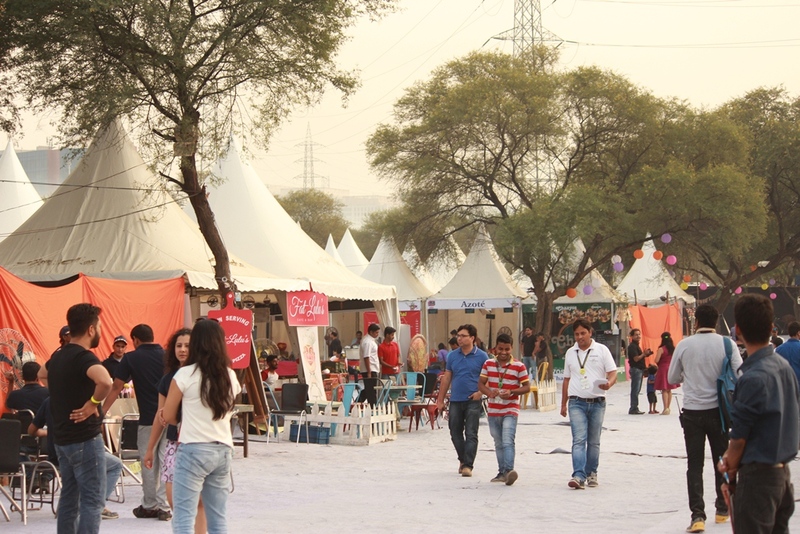 Delhi Haat Pitampura, holds a unique festival, as it brings together the most iconic street food vendors to fulfill a foodie’s ultimate dream. A great place to taste spicy Indian cuisine in affordable prices. How to Reach: Pitampura Metro Station (Red Line). The biggest food festival in the Indian subcontinent is a three day extravaganza offering the greatest gastrnomical delights. This is when the top-notch chefs of elite restaurants come out of their kitchen and cook out their popular dishes. 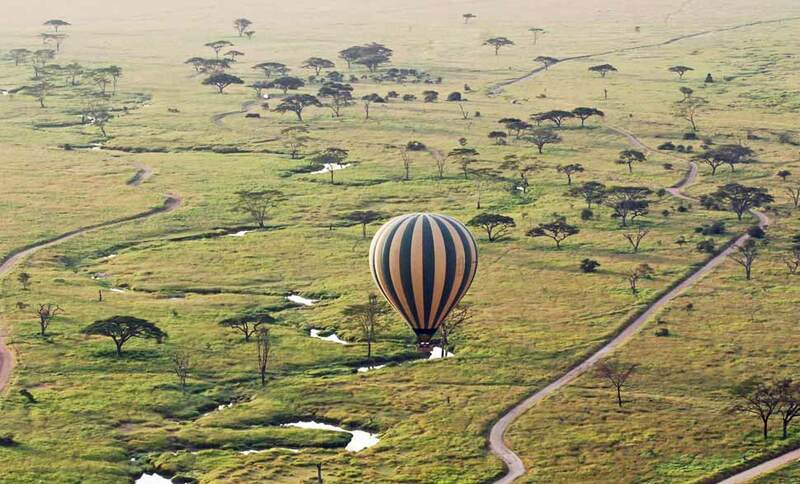 Renowned music bands will liven up the environment. How to Reach: Jor Bagh metro station is the nearest. 10 mins cab drive from here. Venue: Select City Mall, Saket. 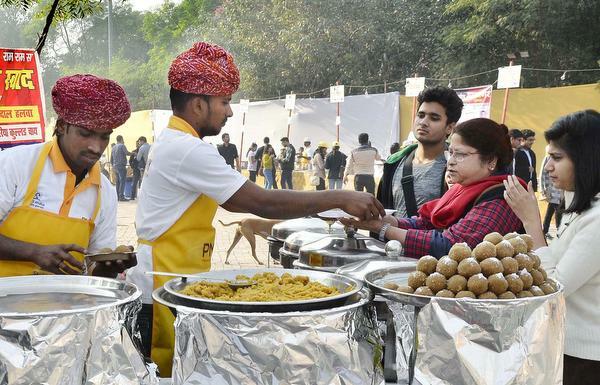 Another festival in Jawahar Lal Nehru Stadium, this occasion brings together the vendors of The National Association of Street Vendors to promote spicy Indian cuisine. Try out the Keema Mutton of Pochamma Andhra Pradesh, Tangy Fish Curry, Chicken with Curry Leaves, rice cake, and other local dishes of the state. Note: Festival dates may vary every year. The same should be confirmed before planning a visit.